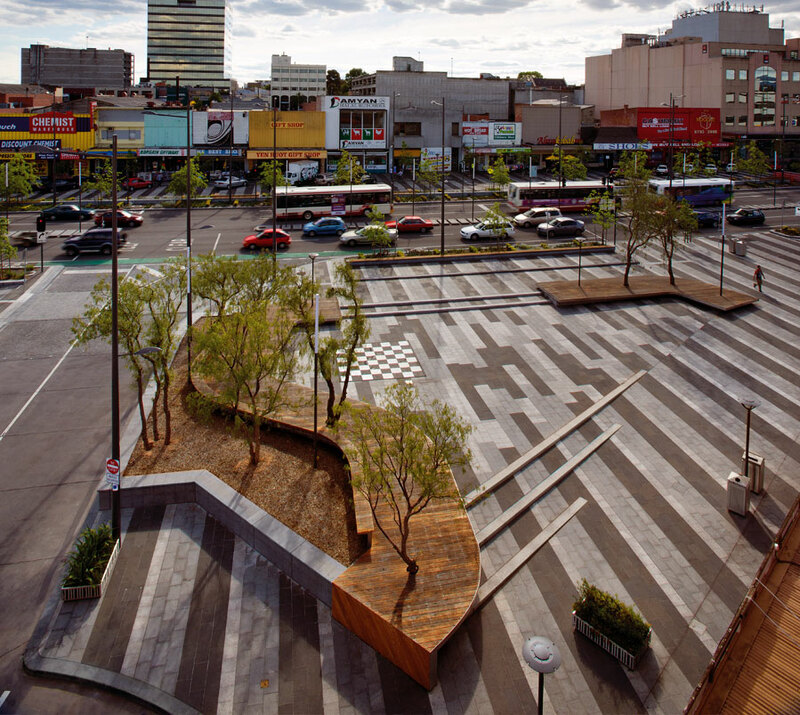 In the heart of Melbourne’s growing southeast corridor lies the City of Dandenong. In 2010, a comprehensive ‘Revitalising Central Dandenong’ initiative was launched by the Victorian government through Places Victoria. 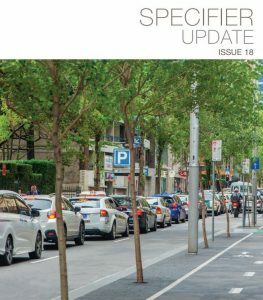 Seeking to rejuvenate the rundown Lonsdale Street precinct, a team of renowned Landscape Architects, Engineers, and Builders came together to create a fresh new future for the city. 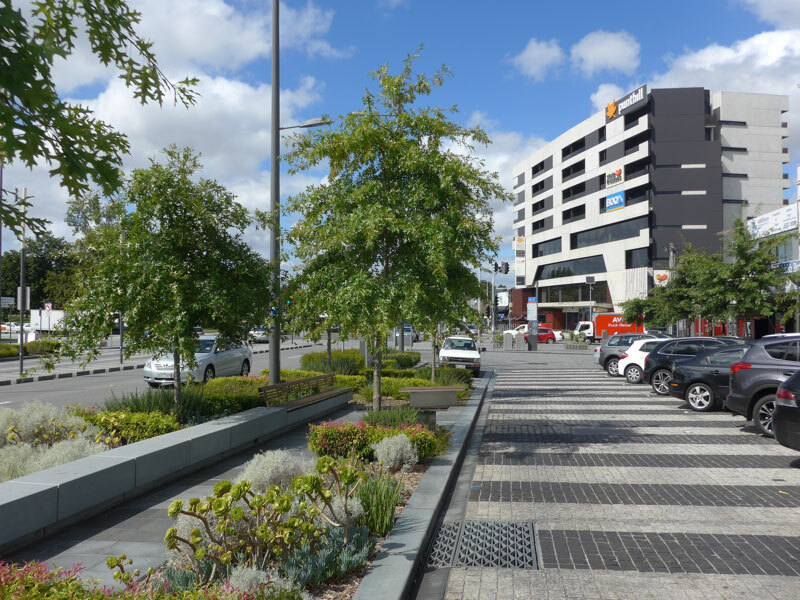 Five years down the track, the project has proven to be an overwhelming success, with Lonsdale Street now considered one of Melbourne’s great boulevards. A green, pedestrian-friendly main street encompasses the city’s vibrant retail industry with wider footpaths, various urban furniture, bicycle stands, and – the jewel in the crown – 251 thriving Pin Oak trees. 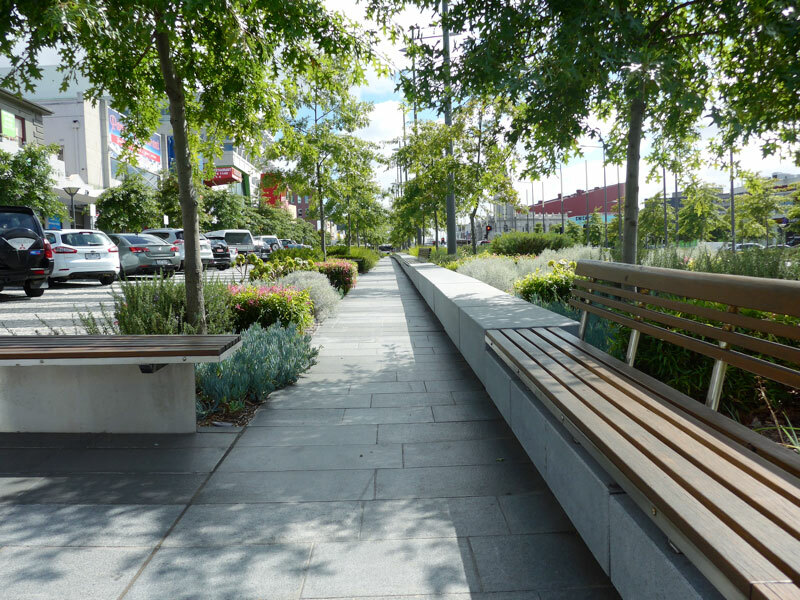 In line with urban stormwater best practice, there are also a number of rain gardens which capture and treat stormwater, which is then reused for irrigation. Today, the thriving streetscape looks as if it’s always been there, belying the comprehensive engineering and technology below ground that made it all possible. Whilst the original design specified reinforced concrete slabs supported by streel screw piles over a continuous soil trench, the suspended slab ultimately proved too expensive due to poor ground conditions. 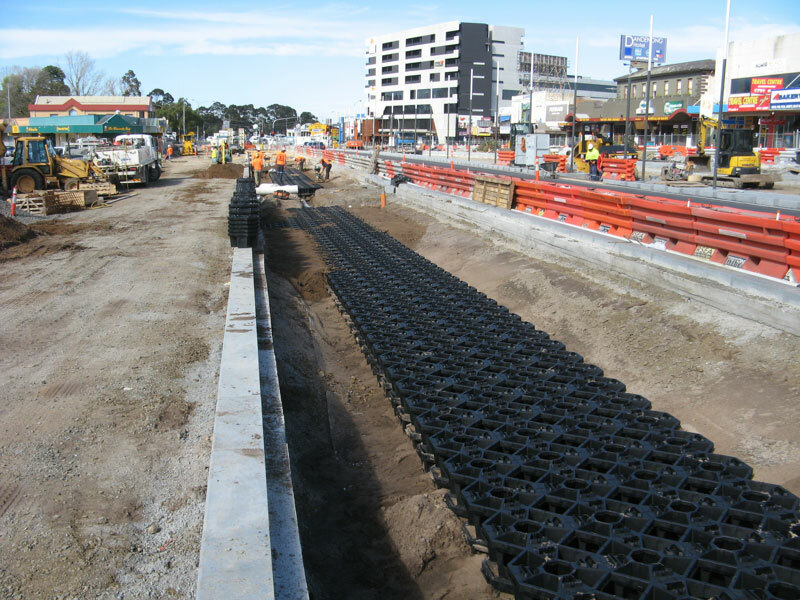 Argot Consultants Pty Ltd & KLM Spatial were engaged to investigate cost-effective alternatives to piling, and after seeing several successful projects in Auckland, New Zealand, Citygreen’s Stratacell product was selected. 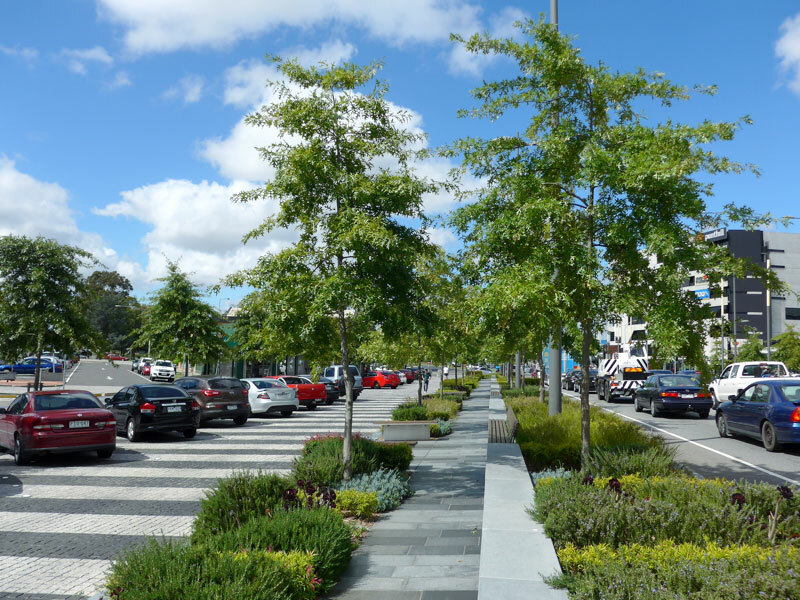 Today, Lonsdale Street is unrecognisable, transformed from a grey, uninviting locale into a green, thriving streetscape for residents, workers, and visitors to enjoy.